Helloooooooooo!!!! It's been so long since I have posted, but I am back with JustRite Papercrafts July release. Today we start to show off the newest stamps and this release a huge release, so get ready for day's of inspiration!! Today my card is created with Birthday Floral Vintage Labels Eight and Nine, which coordinates with out Vintage Labels Eight dies. I had a lot of fun creating this card. I made a background using the pretty flower stamp, which is watercolored in. Love the effect....hope you do, too. 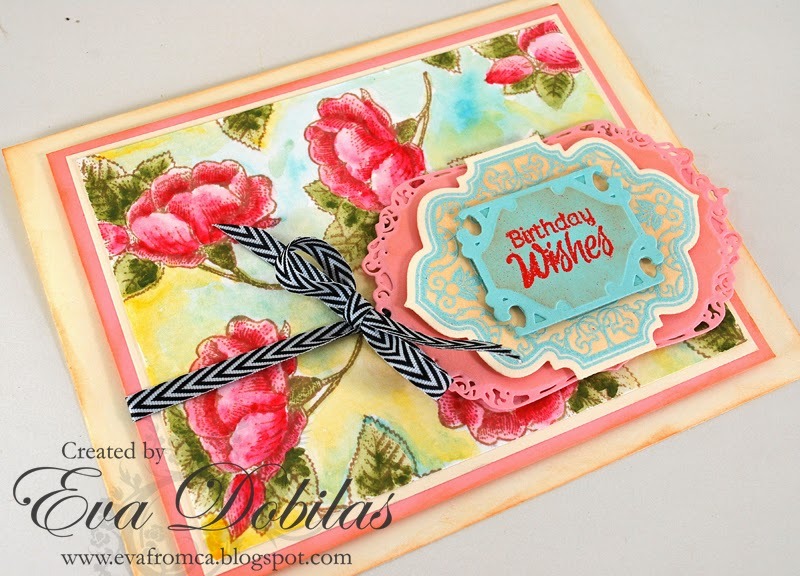 Than I stamped my sentiment onto aqua card stock and cut it out with the newest Vintage Labels Eight dies. I also used Spellbinders Gold Labels Four. 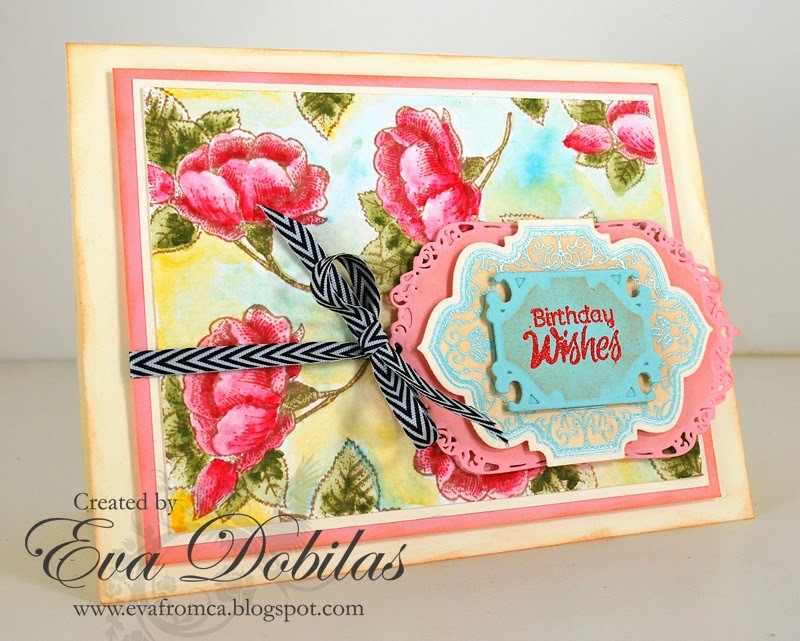 Here is what this new beautiful Birthday Floral Vintage Labels Eight and Nine set looks like. And here is what the Vintage Labels Eight dies look like.